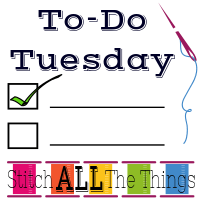 Welcome to To Do Tuesday October 25 hosted by Christine over at Stitch All the Things. Woo hoo for Fall! I didn’t realize just how much I was missing having free time until this past week. In the past week, I have had time to sew, watch a playoff volleyball game, relax at home, and take off for a girls’ weekend scrapbook retreat. Sunday we did a thorough cleaning of our house from top to bottom, and that feels GREAT! I decided to set these two projects aside and concentrate on October’s TNSEM project. This allowed two things to happen: 1. I was able to relax about having unfinished projects. 2. I put my full concentration towards October’s project. Now that I have October done and out of the way, I feel much better about concentrating on these. 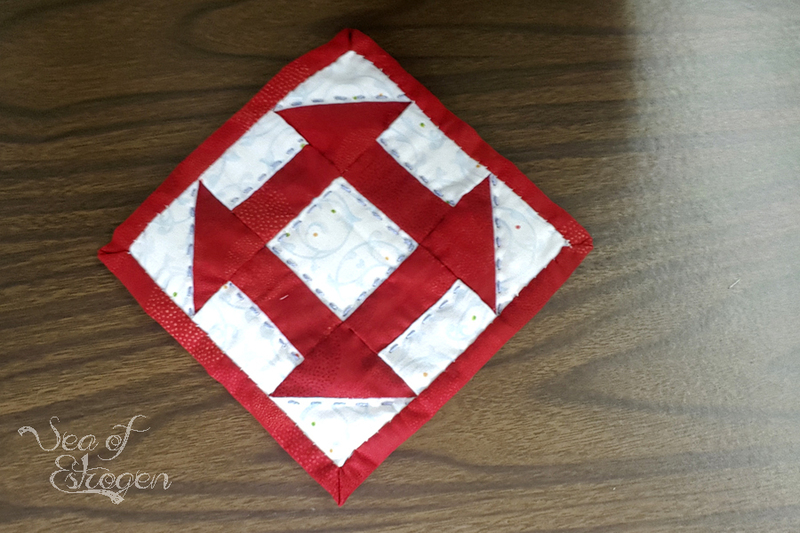 I did not mind this project, but I highly doubt hand-piecing will become part of my regular sewing agenda. I managed to get these patterns printed and taped together, but that’s all. While away at the scrapbook retreat, I was able to complete two events worth of LARP pictures. I also dismantled an old, unwanted album and recycled the pieces to be used in the future. Unfortunately, I didn’t get any work done on the girls’ high school albums but mostly because I need to print more pictures. The best part about To Do Tuesday October 25 is that my list for this week is shorter, and I am not adding anything new to it. I am concentrating on these three things this week. Yay for a finish! I super love it because it’s a churn dash block. 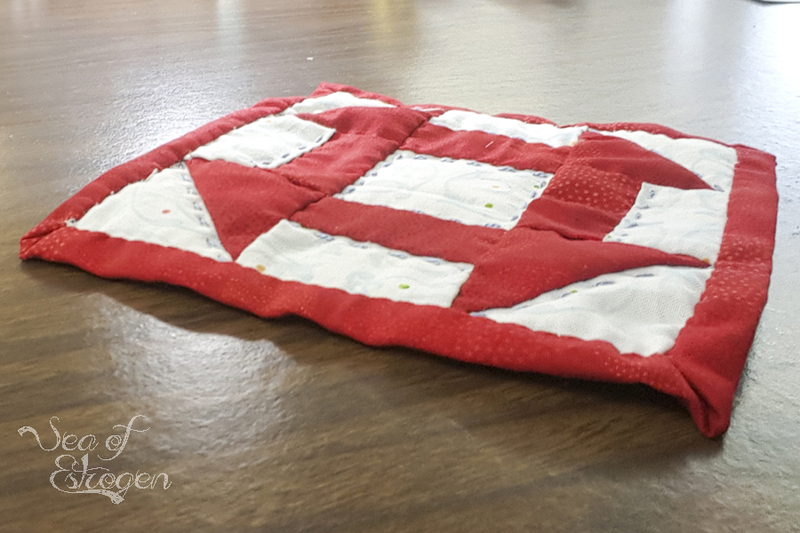 Love the hand quilting too! I am looking forward to your review of the slim fit raglan. I looked at her patterns last week and I really liked the look of the slim fit raglan, but also liked the regular raglan top as well. I wanted to purchase one to try and make a shirt, but decided to wait for your review. Love those short list sewing weeks! I am excited to get them made, too! I love finding a pattern that I can make over and over and not have the “exact same shirt” just by making little changes here and there. I will definitely let you know how it goes. That is a great finish, & a brave one for doing it all by hand! I’m not a hand piecer, altho I have tried English Paper Piecing. But I do like some hand quilting. It takes time, and I’m usually in the get’r done mode these days. Thank you! I do enjoy English Paper Piecing, especially since it’s something I can take and work on during my daughter’s athletic events.